During the early stages of 2002, the United Kingdom Government reported a grant for some 8 major IT project contracts having a collective value of over six billion pounds due to run over a decade aimed at actualizing modern IT frameworks to Europe’s biggest public healthcare system, the NHS (National Health Service in Britain. The sheer scale of the project was by far more prominent than anything ever seen in the public accounting domain of the UK. This project was christened the National Programme for IT (NPfIT), this project was highly ambitious aimed at transforming the NHS through the implementation of a digitized patients central healthcare record management system. It was also intended to enable GP’s (general practitioners) get safe and secure access to patient data as well as approved healthcare professionals in 300 hospitals (Justinia, 2016: Powell, 2004). The UK Department of Health subsequently formed the CFH (Connecting for Health) agency to develop the national IT infrastructure for the NHS and be responsible for delivering the NPfIT. The project was estimated as the largest public spending with a £6.2 billion budget to be used over a ten year period, although the full extent on the amounts used in the project remain uncertain, with an estimated forecast of £ 10 billion although it has been estimated to have cost £ 11.4 billion (Justinia, 2016; Wright, 2011). The NPfIT was launched at a time when several other large-scale IT projects ended in failure with the NHS itself having a mixed history of IT implementation projects; some succeeded, a significant number also failed. After being characterized by several delays, opposition by stakeholders to execution issues, the program was ultimately undid by the UK Govt. in 2011, with the CHF agency following with a natural death in 2013. One of the major developments/ improvement for which the NPfIT was initially lauded was the efficiency and sheer speed with which it awarded contracts and procuremnts; something that became major bog and failure for the project. NPfIT surged to give out contracts in a hasty and disorganized manner with the planning having been poorly done or not done at all, especially for an expansive project of this nature. The exact scope of the project remained hazy and a lot of remedial needed to be done after the award of the contracts; the contractors simply did not clearly understand what they were supposed to help develop and so the scope and deliverables had to be worked afresh. During this was viewed as a sign of progress and victory and acted as the threshold for future contract management ought to be done. The program managers and politicians rushed to make policies as well as put in place implementation and procurement process in a rush to reap the benefits of this revolutionary project. Consequently, very little time was availed for communication and consultation among the key stakeholders; there was also failure to deal with issues of confidentiality as well as timetables that were unrealistic, inadequate time to engage the end users, failure to control the progress of the project and benchmark them against the expectations. The NHS IT project lacked a clear course, effective project management or a strategy for exit implying that the inevitable obstacles when undertaking such a large scale and ambitious project turned quickly into failures across the entire system. The UK Govt. and DOH inherent culture was not favorable for swiftly identifying and correcting strategic and technical errors and issues due to a lack of clear and motivational leadership, a lack of concern for issues to do with privacy, lack of exit strategies or plans, and lack of, or very poor skills for managing projects of such nature. In a press release in 2011 September on the dismantlement of the project, the inappropriateness of centralized authority in the project was underlined by the UK government as decision making was top down on behalf of local entities, rather than having a distributed decision making process; for complex projects such as these, the best model or structure for success entails decentralization and standardization of procedures and processes organization-wide to ensure success (Stenius, Pouru & Lim, 2018). Stakeholders are very important in a project and as such, must be managed in the best way possible; a failure to properly manage stakeholders almost always results in failure. Surveys show that over one third (30%) of failures in ICT projects are because of poor business planning strategies. These include the failure comprehend and align the value expected from the project and commercial drivers because it is rare for a project to just be wholly IT based; such projects affect operational processes and this affects organizational culture and as such, should be looked as a broad process requiring wholesome approaches for the benefits to be realized (Graham, 2005). There must be good consultation with all relevant stakeholders involved in the project for the project implementation to be successful and for the benefits to be realized. Stakeholders in the UK healthcare system expressed concerns as soon as the NHS IT project commenced about the utility and accessibility of the envisaged system; it is telling that most of the concerns were raised by GPs and doctors (Graham, 2018). The ultimate solution or product that that NPfIT project was going to ultimately deliver was unclear from the very beginning of the project, meaning the objectives, goals, and deliverables were not clearly defined at the planning and initiation stages of the project. The process of contracting and procuring services and products during any large scale project is very important in ensuring that the project gets value for money and that the right products and services are provided (Indelicato, 2015). The procurement model used by the NPfIT was done so fast, with time scales reduced drastically; no negotiations were done or allowed and contracts were offered on the basis of take-it-or-leave-it with legal remedies being used very aggressively against providers of products and services. The project and its advisors forgot the concept that such contractual agreements were destined for long term relationships (lasting a decade) and that understanding and negotiations were critical to securing long term cooperation among stakeholders and the project owner. The hyper aggressive approach with threats of legal ramifications for service provider was, and is usually counterproductive in the long term. The NPfIT was also highly innovative in the structure it used to make different service and product providers work coherently by awarding work packages in a series of lots. The rationale for the approach used was that different service providers in different regions could be swapped out or in whenever there was a failure by other regional service providers. The result was a complex itinerary of contractors and service providers and inevitably, several contractors had their contracts terminated during the execution of the project. The project should have been done such that there was a main or main contractor who would in turn be responsible for sourcing sub-contractors to ensure the projects ultimately succeeded. Termination of the NPfIT project is a clear indictor that the project was not properly undertaken; despite glaring issues, the service providers and the project team was of the mindset that what has been started must be finished, even when it was obvious the project had issues. Properly managers on ICT and outsourcing initiatives should be constantly asking themselves if the direction a given project is taking is the correct one that will lead to the project objectives being met. This is usually one through periodic reviews and evaluations of progress against expectations yet the project was run by a strong project director that had a strong and powerful personality. This would have been suitable as a means of ensuring the project succeeded; however, when the project ran into problems, room for maneuver was limited and the outside of the core team, the project director ha d few supporters. Accountability for a project must be in the right hands for a project to succeed; while leadership is important, leadership skills and traits are equally important in ensuring the team works in unison towards a shared goal or objective. There must be checks and balances in projects, for instance, with a project manager or director reporting to an executive sponsor and a project committee; there must also be effective communication and unity of purpose among the project team members. The overriding approach to controlling the project relied on a project organization (the CFH) which was an agency formed to ensure the project was a success. This is basically a centralized form of control for a project. Implementing massive-scale fitness provider IT tasks within the United Kingdom, inclusive of the NHS IT venture has demonstrated difficult mentioning problems in reaching powerful records float among customers, coupled with problems pertaining to protection and confidentiality. Tons of the controversy over the NHS IT can be viewed as a clash among the ones closest to the project; these people had been devoted to defending the project and doing all they could to push it through with those having reservations and objections to the methods of implementation or its technical aspects being forced over or away (not listened to). The UK political environment was forced into changes and tension following the financial crisis of 2007/2008, which also heralded a recession of the economy and changes, had to be made in light of these. The stakeholders no longer looked at the project as an investment; it was viewed from the lens of wastage and the need for monetary responsibility that dominated the national debate and discourse. The result was afresh assault on the NPfIT project with many interest groups lobbying for the project which was considered wasteful and ultimately failing in order to save money. The project was not well managed, from the procurement management, the planning process, and the running of the program, with poor communication being a major problem, yet the success of any project depends largely on how well and effective the business communication process proceeds. Inattention to undertaking control fundamental ideas can result in failure in an undertaking. That is amplified in huge-scale tasks where it's far more tough to recover from mistakes.To keep away from massive-scale task failures, statistics structures (IS) specialists have to adhere to the basics functions of project management. The four crucial capabilities of mission control include Govt level, task level, group stage, and the Analyst/Doer level.For the exceptional danger of fulfillment these vital capabilities need to be used from the beginning of a massive-scale mission as well as during the complete enterprise. Straying from these essential features may additionally breed challenge failure. From the beginning steps of assessing the values and lifestyle of an agency and scoping/making plans a challenge. Project managers and challenge groups need to very own the initiatives being operating on. The whole lot cannot be managed, but teams can certainly own what we can manipulate. And that is what is predicted of the venture managers who're managing the organization's tasks. They "very own it." If something is wanted for the assignment, then it's far the venture manager's responsibility to get it or as a minimum ask for it, and it is the mission crew individuals' responsibility to elevate flags when they want something. every and every task crew member is predicted to own the tasks they are accountable for and be chargeable for the work accomplished on each of those tasks, as they contribute to the overall success or failure of the assignment. absolutely delegate responsibilities to group contributors, and set up what styles of decisions they could make without you, and what they need your approval for (a key selection approximately costs). Removing this gray location lets in the team member to have more ownership over their work, and feel much less like a cog within the machine. The project execution team failed to properly plan and use known and tested project management methodologies and techniques, such as prescribed by the PRINCE 2 frameworks. While there was a project organization to manage the project, leadership was poor or ineffectual, failing to give direction and exercise strict control. Further, because the project was implemented quickly, there were failures in the planning phase for its implementation, ultimately leading to the failure of the project. Leading an undertaking in the direction of fulfillment requires the supervisor to get the work achieved by means of the group contributors efficaciously and efficaciously. It calls for the man or woman to have a clean imaginative and prescient, readability in motive, realistic in scheduling and the capability to draw a skilled and green group. This section needs to be pressured in an effort to advantage entire cognizance of the requirements. In addition the undertaking leader has a pivotal role to play in exchange management. An amazing project leader ought to be able to expect the exchange and address it correctly. The leader should not only give direction, but be able to inspire and give motivation to the project team to ensure it is ultimately successful. Most importantly, project leaders ought to be capable of provide credit score, nurture creativity and aid crew participants in taking calculative dangers so that it will deliver assignment achievement. 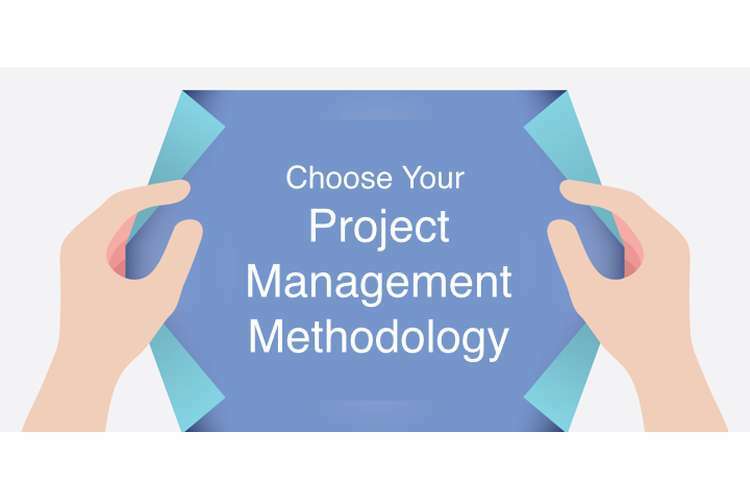 Looking at the project, the project team take much, if not all the responsibility for the failure of the project because they overlooked certain glaring issues which are requisite for effective project management from the start. From hastily implementing the project and not communicating and effectively managing the stakeholders, the project was bound to fail. Basic principles of managing large scale projects were overlooked or not used effectively, from extensive project planning, project execution and implementation, and project closure. The stakeholders did not buy-in to the project; the project was planned and executed fast, without considering the complexity of the entire project and planning it properly. While the executive sponsor or owner of the project; the Government through the UK health Department had full support for the project by guaranteeing funding, the implementing team did not do their job well. The problems were systematic, with buy-in being a major hindrance to the success of the project. The end users and even the public were not fully involved and it was unclear what the project would ultimately deliver to the NHS; this just shows that the objectives were not very clearly and concisely defined for the project. The NPfIT project should have been implemented differently; for starts, basic project management principles, including initiating the project, gathering user requirements, planning, project execution, closure and maintenance should have provided the framework for its development. The given time duration was long enough and so a method such as Iterative / Incremental waterfall (SDLC) model should have been used, where the waterfall approach is implemented by in phases or iteratively. The project team should have recognized that this was a very complex project, and involved stakeholders more to identify what they needed and undertake extensive tests at each iteration, to see whether the developed solutions was meeting the actual needs of the users. Further, the use of multiple sourcing was a huge mistake; the project should have been given to a main contractor who would then source some jobs to subcontractors. Because of the complexity of the project, a systems approach should have been adopted in managing the project. The goal of mission control is to plan and coordinate the paintings sports needed to supply a high-quality product, carrier, or employer endeavor inside the constraints of time table, budget, sources, infrastructure, and to be had staffing and technology. SE (Systems engineering) is an interconnected and interdisciplinary subject of engineering and engineering management that makes a specialty of the way to design and control complex systems over their lifestyles cycles. At its core, systems engineering utilizes systems wondering principles to arrange this frame of expertise. Systems engineering is a field primarily based on necessities and all concerns pertaining to analyzing and dealing with them. In relation to product necessities, undertaking managers have an extraordinary cognizance than systems engineers because of the character in their task. The systems engineer is in most cases focused on making sure that the identified product necessities are documented and written in this sort of way that they may be confirmed and proven. Verification ensures the product necessities are met as documented, whereas validation is the similarly important factor of meeting the give up person's unique purpose. Project control and structures engineering are complementary features, with exceptional advantage from leveraging each differing’s strengths in a team surroundings. Whilst the mission manager manages the project existence cycle, the structures engineer manages the technical baseline of the product below development. The mission supervisor and structures engineer percentage requirements control responsibility, and by working intently collectively they keep the assignment on the right track. The systems engineering crew is focused on product necessities and has to be empowered to address them autonomously, involving the assignment supervisor whilst a technical requirement has project requirement impacts. The UK national program for IT is discussed in this paper; the project was an ambitious large scale project to automate the UK NHS in 2002 and the project had an initial set budget of £ 6.2 billion. The project aimed at implementing a top down healthcare digitization in England’s NHS with its core aim being to ensure the use of information technology at the NHS was geared towards the 21st Century. However, the project was overrun in budget by 200% and the schedule by 70%. The leadership and execution of the project was poor, with the team holding responsibility for its failure. value, www.mckinsey. com/business-functions/business-technology/our- Justinia 7 insights/delivering-large-scale-it-projects-on-time-onbudget- and-on-value (2012, accessed 20 July 2016). 7. University of Minnesota Press. 16. Maughan, A. (2010, September). Six reasons why the NHS National Programme For IT failed. 19. Sparrow, E. (2012). Successful IT outsourcing: From choosing a provider to managing the project. London: Springer.